Jackie Chan's 100th is Coming To The UK courtesy of Cine Asia! 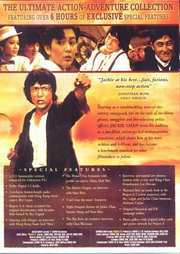 Cine-Asia presents HKL - The Jackie Chan Collection! Once again Jackie interweaves jaw-dropping, death-defying stuntwork with peerless fight choreography and a comic genius; another classic from the undisputed master!